Regeneration Trust, specialist real estate asset management company, Blue Marble Asset Management (Blue Marble) has secured a new lease with the existing tenant of a Rotherham office suite. The un-named tenant took a new five year lease on a 5,150 sq ft office unit at Unit 3b, Phoenix Riverside, Rotherham, S60 1EN, less than two months after CRT Property Investments Ltd acquired the fully let, 18,856 sq ft, multi-let office building for £1.5 million, with the assistance of Blue Marble in May 2018. Property Investment and Development Director for CRT Property Investments Ltd, Shaun O’Brien, says: “We’re extremely pleased to have signed a new lease with the existing tenant and look forward to working with them over the next five years. Their office is in a fantastic building with good access to the nearby national motorway network. It is easy to see why they have chosen to stay here. For further details about the Coalfields Regenerations Trust please visit www.coalfield-regen.org.uk or for regular updates follow @CoalfieldsRegen. 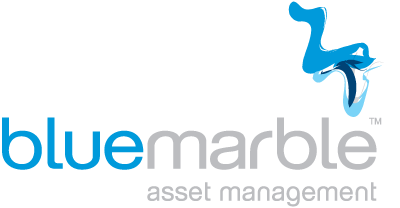 Based in Birmingham’s Colmore Business District, Blue Marble Asset Management is a real estate asset management specialist which presently has more than £100 million of property assets under management. It works for a select range of clients including investment businesses, high net worth individuals, trusts and family offices. It can be contacted on tel. 0121 272 4949 or email. ahaywood@bmassetmanagement.co.uk or via www.bmassetmanagement.co.uk.